Bender TheRealestateDog, my trusted pup and assistant, has given his official stamp of approval to this sweet, treed yard in the SE Portland Neighborhood of Brentwood-Darlington. 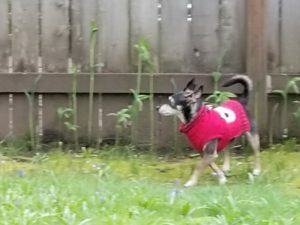 Bender gave the yard a once over, checking out the squirrels and plantings to ensure it will be a good home for a future canine companion for the happy new owner, Susan. According to Niche.com, Brentwood-Darlington is the 20th most diverse of Portlands 90+ neighborhoods, scoring an ‘A’ for diversity. They rate the schools ‘A-‘, making this up and coming spot, a bit past Woodstock, one of the hot places to get into the Portland real estate market. This active community, about a 20 minute drive from downtown, has rapidly rising price tags for homes, but is still one of the more affordable places to enjoy the Portland lifestyle. Check out their Facebook page to see info on their Earth Day celebration at Learning Gardens Lab PSU, the upcoming self defense training for women and teen girls and other neighborhood news. People have so many different motivations for choosing a particular home. Accommodating kiddos, proximity to work, and cafes within walking distance are common ones. This time it was the plant babies that took priority. Susan was driven to move her botanical beauties just once, and to make sure it was to a home in which they would continue to thrive. Thankful for an inside scoop! 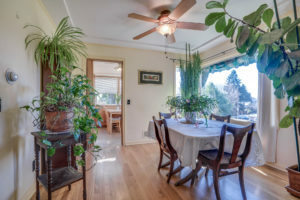 After a couple of years of planning to move from her home of about 20 years, Susan knew it would be complicated to sell and buy in the crazy Portland market without having to move twice. Following up on a tip from another client I learned this cutie in Brentwood-Darlington would be coming on the market. Through networking and persistence we got a pre-market preview and luckily Susan’s offer was the winning bid. Moving day is coming soon.